On October 28, 2016, in the wind and the cold, the students at West Shore Middle School raised money and walked for substance use prevention in their First Annual Walk for Awareness! 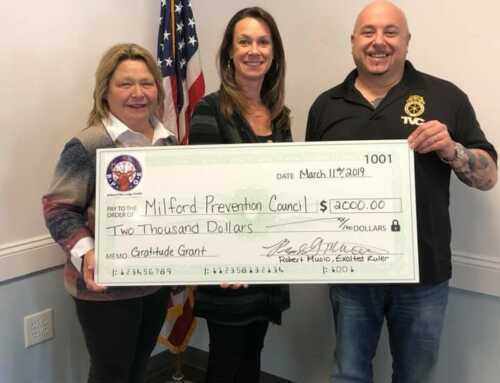 The school provided a large monetary donation to Milford Prevention Council to help prevent substance abuse and fight addiction. 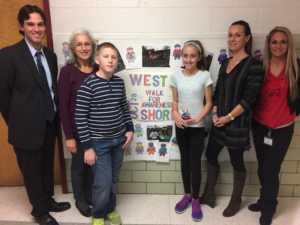 A portion of the money donated also went to West Shore Middle School Students. On behalf of the Milford Prevention Council we are so grateful and proud of the students, faculty, staff and administration at WSMS – you are true MPC heroes! A special shout out to Mrs. Torres and Ms. Riley for organizing this event!